1. THE EUCHARIST. Only the Catholic Church preserves the truth of this Most Blessed Sacrament. From Christ’s own mouth in the sixth chapter of John’s Gospel until the Last Supper and throughout the history of Christianity, the Eucharist is the Body and Blood of Jesus. In this Sacrament, Catholics encounter Jesus Christ as the Bread from heaven which He shared with His Apostles. Every Eucharist is Jesus. Catholics take Christ at His word when He tells us “whoever eats this bread will live forever (John 6:38). Just as regular bread is food for the body, the Eucharist feeds our soul with the living Christ. The Eucharist is the most intimate and profound experience of Christ’s love that any Christian can know this side of heaven. 2. HOLY SCRIPTURE. For me, reading Christ’s words in Scripture reveals the founding and the leadership of His Church (Matthew 16:18). If Christ entrusted His Church to St. Peter, who am I to doubt Him? There is an unbroken line of Church leadership from our current pope back to St. Peter. Jesus promised He’d never abandon His Church or let Her fall into error. That’s good enough for me. 3. THE EARLY CHURCH FATHERS. Anyone who wants to know about Christ’s Church needs to read the writings of the earliest members of the Church. These are men like St. Justin Martyr, St. Ignatius of Antioch, St. Ireneaus of Lyons and St. Clement. From the years just after Christ’s Ascension, we find that the Sacraments are at the heart of Christian worship and practice. Deacons, priests, and bishops founded and taught our faith. Reading these early teachers of Christianity convinced me intellectually that Jesus’ Church had been Catholic from the very beginning. My relationship with Christ grew out of that experience of His love and mercy found in the Sacraments. 4. THE MAGISTERIUM. This is a Latin word referring to the teaching authority of the Church. 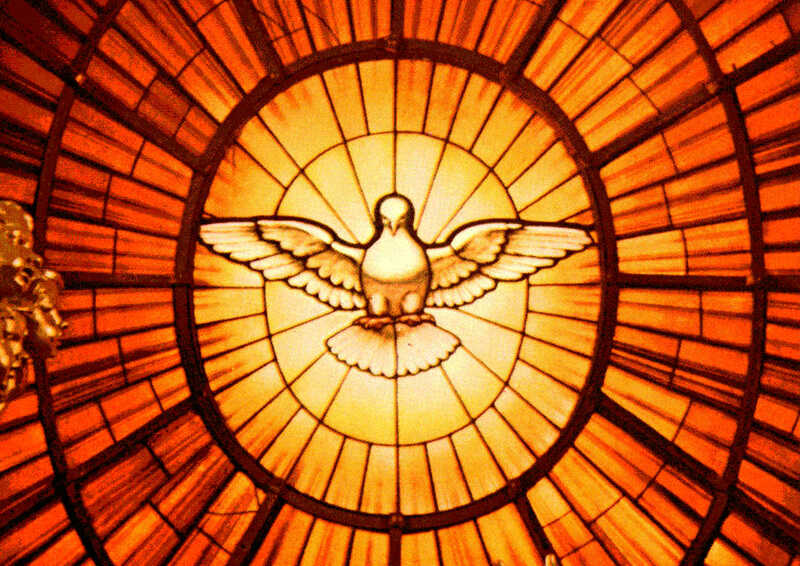 Comprised of the bishops and the Pope, the magisterium is led and inspired by the Holy Spirit. The authority that Christ gave to St. Peter continues to be inherited by his successors (John 16:13). Christ’s Church is a living Bride, guided by Her Bridegroom. When questions of faith have arisen over the centuries, we have a source of leadership and teaching. The bishops and the Pope are the heirs of the Apostles and their authority is given them by Christ Himself. 5. WE HAVE AN ADDRESS. What? Yep, you read it right. For most other churches, if you want to contact “the person in charge” you speak to the local pastor. Catholic pastors have a boss which is the bishop and the boss of the bishops is the Pope. We have a catechism which outlines Christian beliefs and teachings and a code of canon law which governs the working of the Church. This is not a “make it up as you go along” faith. The truth of Christ doesn’t change. 6. BECAUSE IT ISN’T EASY BEING CATHOLIC. Christ calls us to become more like Him and that’s not easy for us sinners. A Church that doesn’t challenge us to change our ways isn’t doing us much spiritual good. Our relationship with Christ means that we must leave our old self behind, pick up our cross and follow Him. That means calling a sin a sin. We follow the ten commandments and when we sin, we go to confession as Christ asks us (John 20:21-23). Being Catholic means living a Sacramental life. It means not being afraid to embrace the freedom the Lord give us when we follow Him faithfully. 7. “WHERE ELSE CAN WE GO?” Jesus had been teaching the truth of the Eucharist to His disciples. Many of them believed it was symbolic, but not truly His Body and Blood. So they leave Him. And Jesus lets them go. He asks St. Peter if he too will leave Him. But St. Peter knows that his hope is in Christ and in His Church and lets Jesus know that. “Where else can we go?” (John 6:60-68). I’ll stand with St. Peter. 8. BECAUSE THE CHURCH IS HIS. Only the Catholic Church was founded by Christ (Matthew 16:18). Every other church was founded by a person and traces itself in some way back to the Catholic Church. It was the Catholic Church that compiled the Bible in the fourth century. Churches that pride themselves in being “Bible-based” usually don’t like hearing this or knowing that the Catholic Church existed for 400 years BEFORE the books of the Bible were gathered together by the Pope and the Catholic bishops. The Church is the “spotless Bride” of Christ (Acts 17:11) and He has promised to never abandon Her. 9. BECAUSE GOD KNOWS I NEED THE CHURCH. He knows how weak I am. He knows my sins. He knows I need the Sacraments, especially Confession and the Eucharist. I need the example of the Saints who can show me a thousand different ways to know and follow Jesus. I need the rich history of our Church and the depth of Her theology, the beauty of Her art and music and Her centuries of devoted service to and love of the poor, the sick and the marginalized. I know my Church will always defend the dignity of human life. 10. BECAUSE OF I TIMOTHY 3:15. St. Paul assures us that the Church is the “pillar and foundation of truth.” The living Church, composed of Her founding with St. Peter, Her custody and interpretation of Holy Scripture, Her Sacraments which Christ instituted and Her magisterium, led and inspired by the Holy Spirit. I believe we’re all called to love and worship Jesus Christ. His love led me to the Catholic Church and I’ll be forever thankful. Catholics believe that Jesus called St. Peter to lead His Church and gave him Christ’s own authority in matters of faith (Matthew 16:13-23). As the first among the Apostles, St. Peter was instructed by Christ to teach and discipline His Church (John 21: 15-17). Jesus told Peter that his faith would not fail in this mission (Luke 22:31-32). Christ promised that His Church would be protected from preaching error by the power of the Holy Spirit (John 16:13). Jesus said that the Church would preach everything that He taught (Matthew 28:19-20) and that anyone who listened to the Church, would hear Him (Luke 10: 16). These passages from the Gospels are the Scriptural basis for the Doctrine of Papal Infallibility. It’s important to understand the meaning of infallibility. It doesn’t mean that the Pope is sinless, all-knowing, or in some other way super-human. The doctrine of infallibility applies in certain specific instances when the Pope and the Bishops of the Church teach us in areas of faith and morals. Actually, it might be more easily understsood as the action of the Holy Spirit in preventing the Church from falling into spiritual error. When the Pope is speaking politically or privately, or as a pastor or theologian or philosopher, this Godly protection isn’t guaranteed. Over the history of the Church, Popes have invoked this doctrine in relatively few instances. 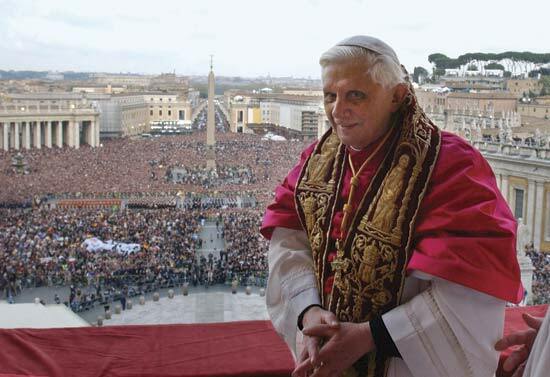 Each Pope is the successor to St. Peter in their role as the head of Christ’s Church on earth. It is this authority by which the Pope is known as the “vicar of Christ” or the first among the teachers of the faith. As the successor to St. Peter, the Pope retains in his office all the power, authority, and responsibility which Christ gave to Peter. When the Pope speaks “ex cathedra” or “from the chair” of St. Peter, he expresses the authority and power of Peter as head of Christ’s church. Since we know from Holy Scripture that the Church will never pass away, this charism of authoritative teaching will never cease. If the Church were to teach error, it would cease to be Christ’s Church. Papal infallibility doesn’t mean that the Church is made up of sinless individuals. We’ve heard it said that the Church is a hospital for sinners, not a museum for saints. Throughout history, individual Catholics have commited grievous sins. But just as the early Christians didn’t abandon Peter because of the sinfulness of Judas, faithful Catholics don’t leave the Church based on the faults of any individual member. The Church is the Bride of Christ. As His Bride, She is spotless and perfected in truth (Ephesians 5:25-27). Christ protects His Bride from error through the work of the Holy Spirit. As His Bride, She always recognizes and cleaves to the voice of Her Bridegroom, Whose love allows nothing to come between Them. Christ gave Himself up on the Cross to make Her holy and blameless. 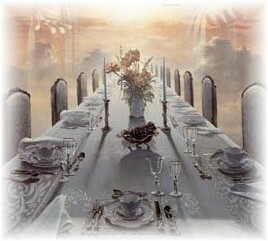 At the end of time, His Bride will join Him for the wedding feast of the Lamb described by St. John in Revelation 19:7-9. Through the church and the infallible faithful teachings of St. Peter and his successors, we will be made ready for that heavenly celebration. “The Church…the pillar and foundation of truth (I Timothy 3:15). I’m no physicist. My high school algebra teacher would assure you that my math skills are more compatible with (maybe) balancing a checkbook rather than understanding the science behind the laws of the universe. But that’s never stopped me from trying. In college, I was blessed to study with a wonderful professor who made physics accessible to non-scientists like me. Under her guidance, we were introduced to Einstein’s theories, quantum mechanics and the mysterious “dark energy.” Since then I’ve enjoyed trying to keep up with the exciting discoveries that are unfolding in physics like string theory and the recent work in Switzerland exploring Higgs-boson, or “the God particle.” The more I learn about the workings of the universe, the more I appreciate the wonder of creation and the power and majesty of the Creator. As a Christian, I have no problem embracing all that science can teach us about our world. I know that there is one Truth and so any facts that physics or any of the other sciences will uncover can never contradict the Truth of God. I have friends who believe you can’t be a Christians and still believe in evolution. But I believe that God can use any process He wants in His creation. Our human attempts to understand His physical laws are what physics pursues. From the forces that hold the stars in place to the behavior of the tiniest subatomic particles in a baby’s fingernail, physics seeks to describe the hidden fabric of the universe. The history of modern physics is almost as interesting as what physicists have discovered. Everyone knows about Sir Isaac Newton, whose descriptions of the forces of gravity and inertia describe the visible world around us pretty well. Then along comes Einstein and suddenly the Newtonian universe just doesn’t explain much anymore. 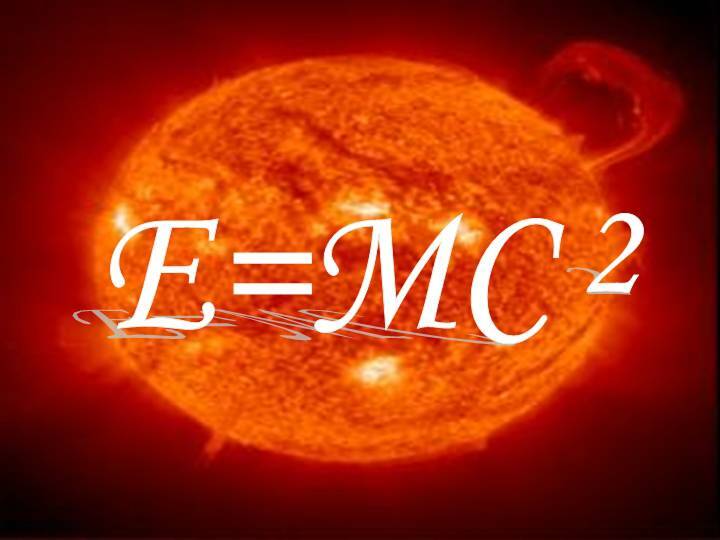 For Einstein, matter and energy and time all get redefined and are shown to be much more flexible and inter-related than Sir Isaac had imagined. Then with Max Planck and Niels Bohr, the specialty branch of quantum theory looks at the super-small interworkings of subatomic particles. For me, this is where the astounding presence of God is most amazingly revealed. The more we learn about the smallest bits of creation, the more we learn about the greatness of God. One scientist notes that the universe seems “strangely overbuilt.” There is an intricate reality which underlies our ordinary-looking world. It’s as if God has created a beautiful, intricately-patterned golden chair…and then overlaid it with common wood. The outside looks ordinary and functional, but within it lies an extraordinary treasure. If you don’t know Pete Singer, you need to find out about him. He’s a professor of bioethics at Princeton University and a top adviser to President Obama on the Affordable Care Act or “Obamacare” which was recently upheld by the U.S. Supreme Court. Professor Singer’s influence on your future healthcare options can’t be over-emphasized. He has strong opinions on how you should be cared for in your doctor’s office. He’s a proponent of something called “utilitarian bioethics” which traces its roots to the 19th century principles of John Stuart Mill and Jeremy Bentham. But it is Mr. Singer who brought their ideas into the 21st century…….and into your doctor’s office. What Mr. Singer believes can be learned in his book Practical Ethics (2011). I’ll try to summarize it for you: Morality doesn’t come from God but from giving as many of us as possible what we want and need. Think about that. Who does the giving? The government. And what does the government give? What we want and need. 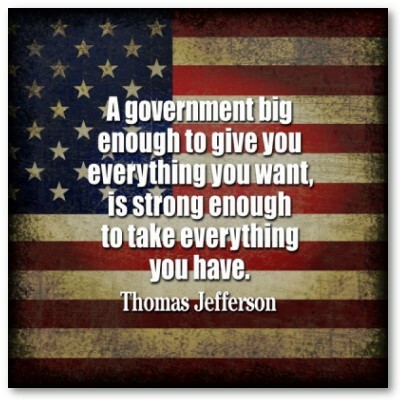 The government decides what we want and need and gives as much of it as possible to as many of us as possible. Taxpayers earn money through hard work, pay taxes to support government programs and government planners like Mr. Singer decide who needs what and then give to those they think are in need. Scary? You don’t know the half of it. For Mr. Singer, the world is a vast “problem” and people like him who are in positions of power are charged by the government to solve these “problems” by judicious “distribution of resources.” In other words, all of the “stuff” in the world is like a big pie and there are a fixed number of available slices. Mr. Singer wants to give the slices to those people with the highest chance of contributing back to the pie through their work. That means healthy young people should be given more resources than the sick, the old, the disabled, or children. It’s like social triage. Medical decisions would be made logically on the basis of each person’s total future productive value and “happiness.” All these judgements would be left up to people like Mr. Singer, who are obviously so much smarter than the rest of us. In his 1977 book Ecoscience: Population, Resources,Environment, Mr. Singer writes that “…one teenager is equivalent to saving fourteen 85-year-olds,” This is the morality of one of Mr. Obama’s top advisors on health care. He goes on to say that “:killing a newborn baby is never equivalent to killing a person.” Note that a newborn isn’t a person. And that he isn’t talking about abortion, as horrible as that is. He’s actually talking about killing a newborn infant. He calls this a “post-birth abortion.” I call it murder, as the law does. In my opinion, he’s one of the most dangerous men in America because he has the confidence of our President. This world view believes there is no God, no objective truth, no sense of the value and dignity of each human life. I’m talking here about the intrinsic value, not the “bioethical” value assigned to a life by someone like Mr. Singer. Anyone not seen as valuable by him should be allowed to die. Medical resources would be rationed by panels of government experts who would determine if your surgery or medication would make you more “valuable” to society. If the panel didn’t find you worthy of treatment, you’d be allowed to die or even assisted in committing suicide. The disabled or elderly or infants would be classified as “nonpersons.” It sounds like a science-fiction nightmare, but this is what is being taught at universities around our country. And Mr. Singer is advising our President. I don’t know about you, but I don’t want Mr. Singer deciding who lives and who dies. I don’t believe most of America would agree with his world view either. So we have to do our homework and we have to stand up for the value and dignity of every human life. I believe that God has created us in His image (Genesis 1:26) and that He sent His only Son to save us and bring us back to Himself (John 3:16). I believe that it is God Who creates us in our mother’s womb (Psalm 139:13) and from the moment of our creation until the moment of our natural death, we live in His care, in the palm of His hand (Isaiah 49:16). I believe Jesus calls us to care for and protect “the least” of our brothers and sisters (Matthew 25:40). Our Catholic faith has always taken care of the sick and the poor among us. Our Bishops have made it clear that we will not stop our ministry despite the HHS mandate. To cease protecting human life is to cease to be Catholic, and to cease to be the Bride of Christ. I believe that God loves Mr. Singer just as much as He loves you and me. So I believe it’s my duty to pray for his conversion and to do all that I can to be an example of Christ’ love to those “nonpersons” that Mr. Singer would like to eliminate. I plan to be an abundant “waster” of resources to help others, in whatever way I can. Let’s remember the charity of Blessed Mother Teresa of Calcutta who cared for the sick and the dying with such love and compassion. May her example lead us to defend and protect every human life, without exception. Our Catholic Faith Is A Celebration! I love how my Catholic faith celebrates Creation. Every Mass is filled with the sights, sounds, smells, touches and tastes of the things of the world. For us, it’s all good. Just like the Creation story in Genesis tells us. After each day of His work, God took a look at what He’d made and “saw how good it was.” I love that. He calls us to embrace the world He made for us and to see Himself and His glory in it. And we Catholics do that in a serious way. Just take a look at the Sacraments Jesus instituted. In Baptism, for example, we use water and oil, candles and white clothing, the laying on of hands and tracing the Sign of the Cross. We hear the words of the priest, the responses of the person being baptized and anointed and the gentle sound of the water pouring into the font. We sing. We pray. We burn incense. We stand, we sit, we kneel, we bow—all while sunlight streams through stained glass windows and a choir sings praise to God. It’s a real feast for the senses. And God knew that from the very beginning, since He made us sensual beings. That word “sensual” has gotten a bad reputation in our modern usage. It just means “using the senses.” How else do we first know the things of the world except through our senses? It’s only when we allow our senses to overrule our human dignity that we misuse them. If your senses are making the choices in your life, you’re in trouble. But tempered with sound intellect and faith, our senses allow us to fully appreciate the goodness of God’s creation. A look at Jesus’ own life reveals how He used the ordinary matter of this world to glorify His Father. His first miracle was transforming water into wine for a wedding reception. He mixed His spittle with dirt to cure a man’s blindness. He loved eating and drinking with His friends, especially the unsavory ones. And when there wasn’t enough fish and bread to feed the crowds, He made more for them. Just listening to His words evoked cures in people of faith. He healed by touching and by allowing Himself to be touched. He sought the waters of John’s Baptism in the Jordan river. He knelt to write in the sand when he spoke about the woman caught in adultery. He taught the Good News with stories about sheep and wheat, fig trees and mustard seeds. He describes the Kingdom of God as a wedding feast—a truly sensual experience. Good food and wine, music, dancing, singing, laughter, all in celebration of relationships. In an earthly wedding feast, we celebrate the joining of a man and a woman and the merging of two larger families. In the Kingdom, we celebrate our relationship with God, with one another and the immersion of His Church into the Love of the Holy Trinity. It doesn’t get much more sensual than that. So it’s no wonder that the Church He founded celebrates His love in the simple stuff of water, oil, bread, and wine. We bathe, anoint, eat, drink, sing and marry, heal and reconcile together. We praise in gesture and in vesture, in “the smells and the bells.” At our best, we are especially devoted to coming together for a good party–practicing for the one that will never end. I was sitting in the waiting room at the tire shop while my car was being serviced and I was mulling over my current list of worries. I picked up my phone to check in on Twitter and the first post that caught my eye was “Don’t worry, God is in control.” I laughed because God knows what a knucklehead I am and He knows I need a pretty clear sign in order to get the message. Just then an older gentleman sat down next to me and began reading the newspaper. We talked about the headline, which was political in nature. He said, “I worry about our country and then I have to remind myself that God is in control.” Wow. The Lord isn’t wasting any time today, I thought. He’s making sure I hear Him. And it was just the message I needed of course. God IS in control, which must also mean that I am NOT in control. It’s this last bit that I have the most trouble with. Over and over again, throughout the years, when I find myself in trouble it’s because I’ve tried to work things out on my own, without allowing Christ to take the lead. The Christian life isn’t about partnership, it’s about discipleship. Christ doesn’t ask me to walk with Him. He asks me to follow Him. Pride is the deadly sin in which we believe we are self-sufficient. It’s the sin of our modern age, in many ways. Our culture teaches us that we have to love ourselves, to believe in ourselves, to be self-reliant. We’re told that everything we need for life is inside us, we just have to nourish the god within and imagine all our dreams coming true…and they will. It’s what I call “the church of Oprah” and its sacred texts are in the “self-help” and “new age” sections of the local bookstore and almost everywhere you look online. We’ve forgotten that we were born into sin. Heck, we don’t even talk about sin anymore, do we? Much less things like redemption or salvation, or, sadly, grace. We’ve forgotten the language of Jesus. His language is that of love. But not the love of self. He calls us to love one another, to do good to those who harm us, to forgive when we are sinned against, even to lay down our own life for that of a friend. He doesn’t tell us that life will be easy or carefree or full of wealth and happiness. His parables teach us about faithfulness and honesty and the kingdom of heaven. By giving ourselves completely to Christ and by following Him every day we can hope for eternal life with Him. By His grace, we are saved from the torture of hell, which we deserve. We can’t earn our salvation. We can’t work ourselves into sainthood. God loves us and made us for Himself. He loves each one of us as His own children and longs for a deeply-intimate relationship with us. This relationship involves a yoke and a Cross. At first blush, it’s not the most enticing imagery. A yoke reminds us of the drudgery of hard work, of being tied down and harnessed to a heavy load. And the Cross is where our Savior died—the most cruel death that Rome could imagine. And yet when we embrace the Cross and put on the yoke of Christ, we experience the true freedom which only God can give us. It’s the freedom to become the best version of ourselves, to fully realize the dignity of our creation and the price God was willing to pay for our joy. When we live our life in Christ, His grace gives us strength to live a life open to God’s plan for us, which is always more than we can imagine for ourselves. “My grace is sufficient for you, for power is made perfect in weakness” (II Corinthians 12:9). The Creator of the universe wants to make His home in our weak and broken hearts. Jesus wants to take on all your troubles and worries, all your suffering and pain. Prayer is the doorway to begin and to sustain this intimacy with God. We are drawn ever more deeply into His life through the Sacraments of His Church. Day by day He will transform us into Himself. This is something I need reminding of every day without fail. Thankfully, God always finds a way to make me listen to Him. Even at the tire store. The greatest country in the history of the world is celebrating her 236th birthday today. I think the United States is facing the most important election season since the Civil War. As an American and a Catholic, I believe one of most important issues challenging us is the threat of losing our religious freedom. The current administration has seriously attached our fundamental right to freely practice our religious liberty. The HHS mandate forces Catholic institutions like hospitals and charities to betray our Catholic teachings against artificial contraception and abortion. Despite the Church’s attempts to dialogue with administration officials, no solution has yet been found. Recently 43 Catholic institutions and dioceses filed suit to stop the implementation of the mandate. The future of this civil action will be played out in the courts for months or even years to come. In the mean time, our bishops have identified six areas of significant concern in the upcoming election (“Forming Consciences for Faithful Citizenship, US Bishops, 2011 update). The first of these fundamental problems is that of abortion and other threats to human life including euthanasia, assisted suicide, cloning, embryonic stem cell research, the death penalty, genocide and unjust war. When we say we’re “pro-life” we have to include all these issues. Secondly, the bishops include the administration’s “renewed efforts to force Catholic ministries — in health care, education and social services — “to violate their consciences or stop serving those in need.” The bishops include in their concerns the ongoing efforts to redefine marriage away from “the permanent, faithful, and fruitful union of one man and one woman.” The Church also sees our current economic crisis and all the suffering that flows from it as a threat to our freedom as Catholics and Americans. Our future generations are being saddled with an almost-insurmountable debt which threatens their freedom and security. The fifth problem facing our country is what the bishops describe as our “broken immigration system.” The security of our borders remains a fundamental threat to our safety while families separated by immigration suffer. The evil of human trafficking and the unresolved status of millions of undocumented persons already living in America are part of the immigration mess, too. Lastly, the the bishops emphasize ongoing wars, terrorism and violence worldwide, but especially “the absence of justice, security and peace” in the Middle East as a national problem. Since June 21 Catholics across America have been led by our bishops to observe a “Fortnight for Freedom” leading up to July 4th. During these two weeks, parishes throughout the country have been offering additional prayer opportunities, special liturgies and Masses, and other reminders of our need to pray for our country at this important time. The starting date of June 21 holds a special place in Catholic history and religious freedom. That day is the vigil of the Feasts of St. John Fisher and St. Thomas More. Both these Catholic Englishmen suffered and died for their beliefs in religious freedom and so are heroic reminders for us that true freedom of conscience is worth a great, and even terrible price. Independence Day celebrates our birth as a nation founded on the principles of freedom, liberty, justice, and self-determination. These past two weeks of prayerful observance have reminded us of our dual heritage as Americans and Catholics. We honor this heritage by participating in the political process. As Christians, we have a moral obligation to build a more just and peaceful world. The bishops remind us that it is our duty to insure that “the weak and vulnerable are protected and human rights and dignity be defended.” Doing this means making sure that we’re well-informed about issues and candidates and developing an equally well-formed conscience through prayer, study and the willingness to act courageously to fulfill our duties as Catholic citizens. Two websites are available as resources which can assist us as we prepare ourselves. Both ww.FaithfulCitizenship.org and www.usccb.org offer a wide range of relevant documents, prayers, and study materials to help us get ready. Don’t miss your opportunity to participate in this vital election season. Our great country needs each of us to bring our principles and moral convictions into the public arena by being informed voters on election day. May God bless America!